Last week, a blurb was spotted on the UK PlayStation Store page for Sekiro: Shadows Die Twice that stated “In-game purchases optional”. This lead to some speculation that FromSoftware’s upcoming game would have microtransactions. However, on Monday, a representative who works for Step 3, a PR company that cites Sekiro’s publisher, Activision, as a client, told COGconnected that this isn’t the case at all. 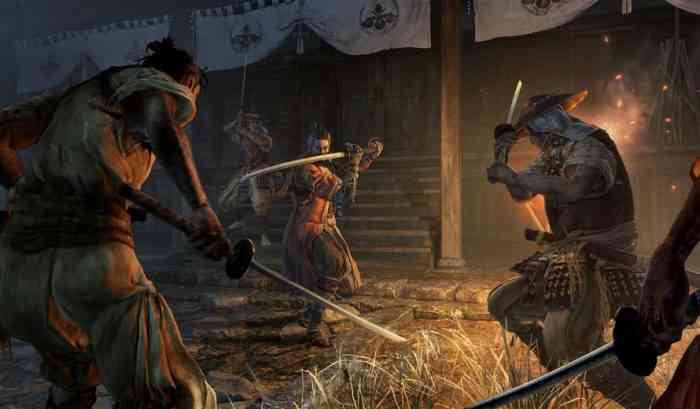 “There are no plans for microtransactions in Sekiro: Shadows Die Twice,” the PR representative, Wiebke Vallentin, told COGconnected over email. Vallentin also said that the “In-game purchases optional” blurb on the PlayStation Store page seemed to be “an erroneous tick box” and said that this was going to be fixed. The appearance of that feature on Sekiro’s UK PlayStation Store page was somewhat surprising because the game’s developer, FromSoftware, doesn’t usually include many significant or gameplay-altering microtransactions in their games (which include action-RPG’s such as Bloodborne & Dark Souls). If you’re interested in learning about Sekiro: Shadows Die Twice then give our preview of it a read!